A team snap taken at the Isis Motel, Scone. 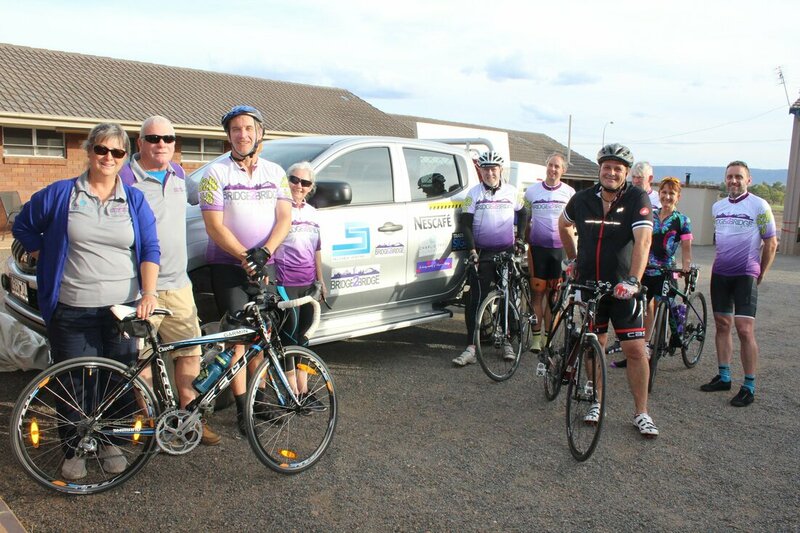 L to R. Jenny and Scott Livingstone (Support Crew), Mark Driver (8 Time Rider), Ros Kerwin (Support/Rider), Randal Bishop (8 Time Rider), Mike the Bike Tech (1 Time Rider), Wayne Beddgood (Upper Hunter Mayor/Spirit Guide), Ivor Ablitt (5 Time Rider), Pera Baddock (1 Time Rider) and Matty Gurr (One Time Rider). Our most enduring Spirit Guide Rob McGlinn - seen here at Aratula with Randal and Matt. Michael Green - an artefact from from B2B4. 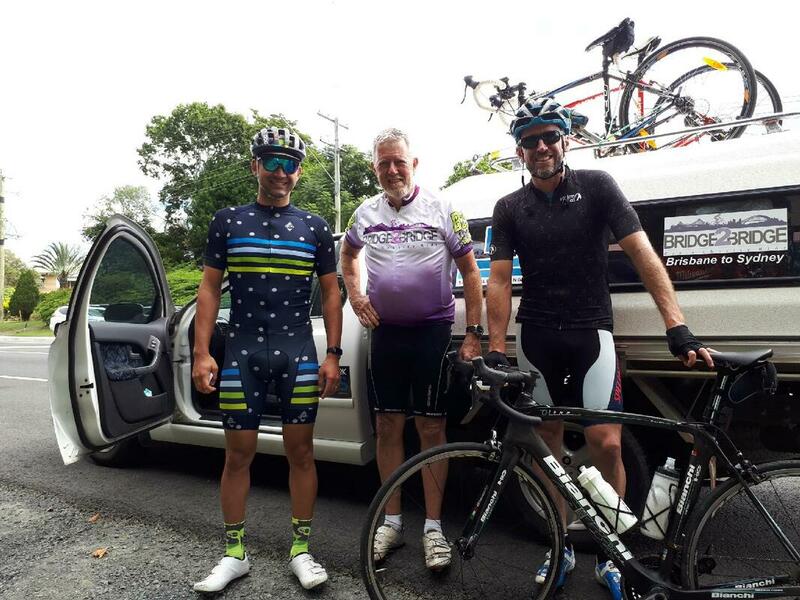 Did spirit guide work out to Progress Road and up Cunningham's Gap. Enjoyed the 1st night BBQ and accommodation at the Jackie Howe Motel. 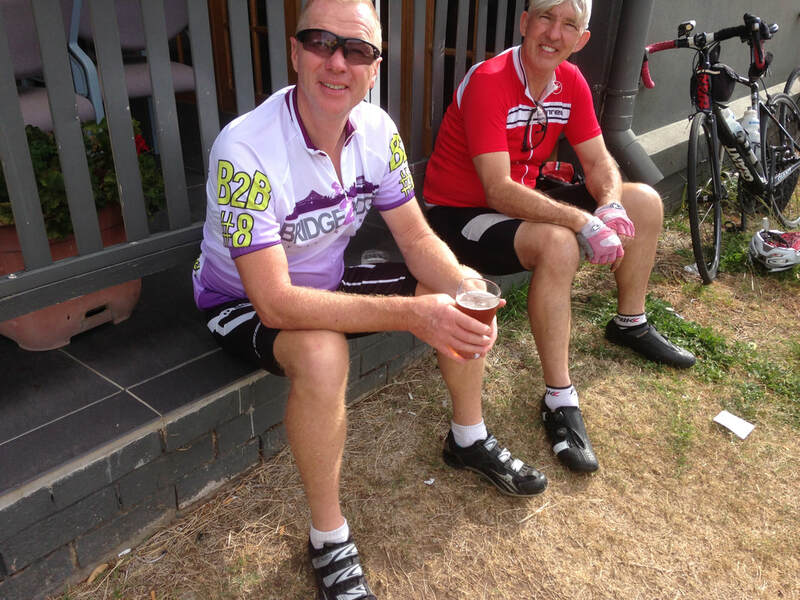 Kev Irle (5 Time Rider) seen here with Ivor at Ivor's Pub (The Oasis Hotel just north of Tamworth).